Every student needs top class reading, writing, listening and speaking skills to succeed at an academic level. Skillful focuses on each of these skills to give presentation, instant practice and complete immersion in that language skill. It offers students the opportunity to develop language skills by presenting them with ideas from today's world, while building critical thinking skills that are essential for academic success. Skillful is a brand new five-level course taking students from foundation to advanced. 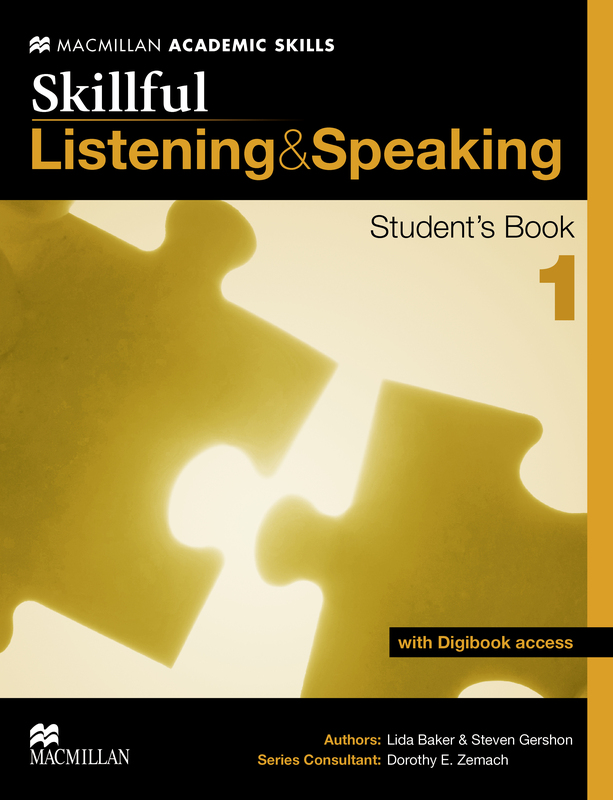 Each level includes both a Listening & Speaking and Reading & Writing course book that complement each other through parallel topics and features. Skillful not only provides the tools for academic success but creates an interactive learning environment, which encourages student debate. How do I download the Resource Packs? Click “Download” to access your Resource Packs. Desktop system requirements for Digital Student’s Book, Online Workbook and Teacher’s Presentation Kit.